A Tailbone Injury may be described as an injury caused to the tailbone, usually due to slipping on smooth surfaces and falling on one’s lower back (frequently in a seated position). What are the Causes of Tailbone Injury? A Tailbone Injury may be also sustained by a pregnant woman during childbirth. What are the Signs & Symptoms of Tailbone Injury? Moderate to severe pain in the coccyx region (termed coccydynia) that increases while sitting, during bowel motion, etc. 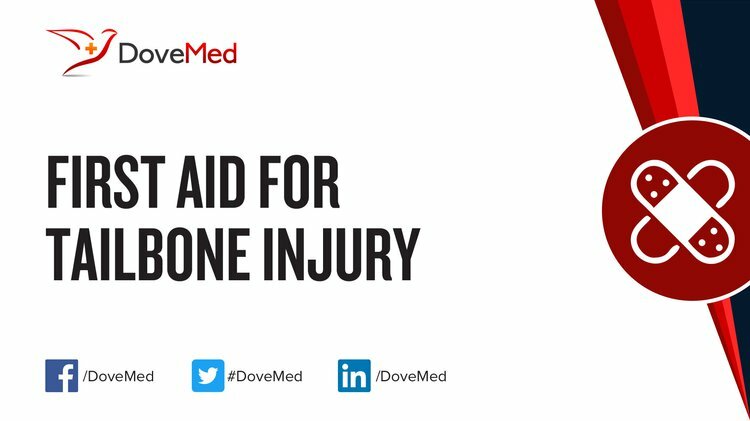 How is First Aid administered for Tailbone Injury? Who should administer First Aid for Tailbone Injury? What is the Prognosis of Tailbone Injury? How can Tailbone Injury be Prevented? Avoid placing further stress on the coccyx/tailbone; lean forward while sitting, sit on soft cushions, take stool softeners for constipation, etc. Hartmann, D. (2010). Chronic vulvar pain from a physical therapy perspective. Dermatologic therapy, 23(5), 505-513. Emerson, D., & Hopper, E. (2011). Overcoming trauma through yoga: Reclaiming your body. North Atlantic Books. Foye, P. M. (2017). Coccydynia: Tailbone Pain. Physical Medicine and Rehabilitation Clinics of North America. Daly, B. P., & Russell, H. F. (2011). Spinal Cord Injury. In Encyclopedia of Child Behavior and Development (pp. 1429-1430). Springer US. Krause, J. S., & Saunders, L. L. (2011). Health, secondary conditions, and life expectancy after spinal cord injury. Archives of physical medicine and rehabilitation, 92(11), 1770-1775. Kado, D. M., Miller‐Martinez, D., Lui, L. Y., Cawthon, P., Katzman, W. B., Hillier, T. A., ... & Ensrud, K. E. (2014). Hyperkyphosis, Kyphosis Progression, and Risk of Non‐Spine Fractures in Older Community Dwelling Women: The Study of Osteoporotic Fractures (SOF). Journal of Bone and Mineral Research, 29(10), 2210-2216. Sayama, C., Chen, T., Trost, G., & Jea, A. (2014). A review of pediatric lumbar spine trauma. Neurosurgical focus, 37(1), E6. Krause, J. S., Reed, K. S., & McArdle, J. J. (2010). A structural analysis of health outcomes after spinal cord injury. The journal of spinal cord medicine, 33(1), 22-32. Madrigal, L., Wurst, K., & Gill, D. L. (2016). The Role of Mental Toughness in Coping and Injury Response in Female Roller Derby and Rugby Athletes. Journal of Clinical Sport Psychology, 10(2), 137-154.